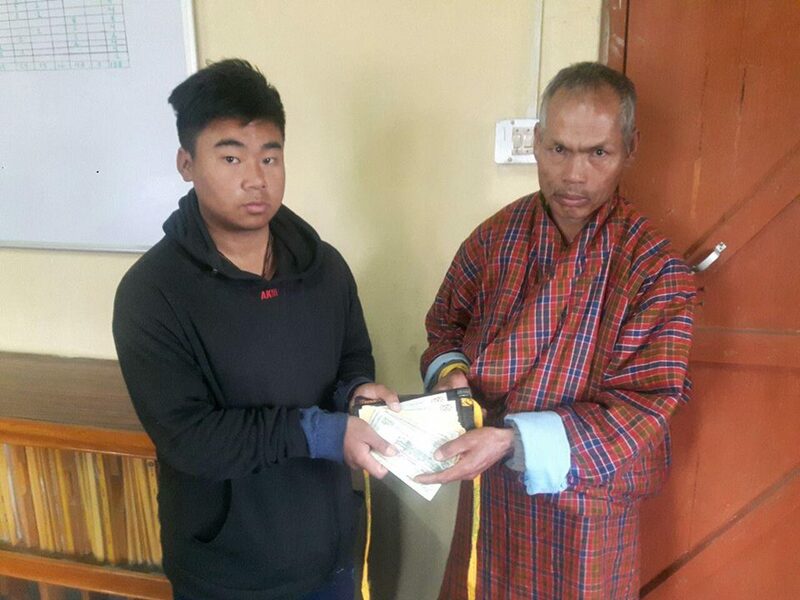 Kinley Tshering, a 18-year-old student of Drugyel Central School, has returned a purse containing Nu. 8,461 that he found in Paro town. The purse was returned to the rightful owner, Chimi Dorji, a 60 year old man from Lango, Paro. The RBP commends Kinley Tshering for his honesty and exemplary action and urges members of the public.